The differences between martial arts can be very important to your child. Changing schools frequently can eliminate many benefits of the practice. These facts tell us the importance of making the right choice now. So how do I choose a martial art, and then choose a school? Which Martial Art for my Child? Which Martial Art is Best for my Child? To determine which martial art, the first point to consider is the concern over teaching children how to injure someone before they can determine if it is really needed. You need to consider both your child's disposition and the maturity of the instructor in handling this issue. As for the different choices, we tend to use two broad categories: striking and throwing. Martial arts that emphasize striking tend to use solo forms and drills in combination with one on one competition in sparring. 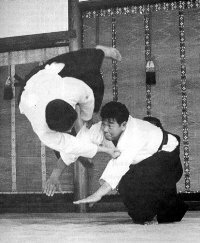 Martial arts that focus on throwing often drill techniques with partners. They may use one on one competition, or a traditional (noncompetitive approach) dealing with multiple attackers. Defense against weapons, while not crucial for children, are important because they set the direction of training to the more advanced levels. The remainder of this section provides useful information to further examine this subject. The best way to defend yourself against an attacker is to not be attacked in the first place. The best solution - not being attacked - should receive the most attention. So the primary goal of martial arts training should be to build character. Positive character discourages other people from anger and violence, reducing the chances of being attacked. As parents, we all know the saying, "do as I say, not as I do." We also know it rarely works. If you ask your child to look to someone as a teacher, the instructor should embody positive character in their daily activities. Your children learn through osmosis and the atmosphere of the school will have a significant impact on their values. The instructor should have technical skills, but these are secondary for children. The main point is leadership through example. Better awareness & reflexes to avoid injuries due to accidents & falls. 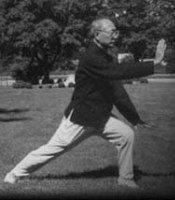 Relax and exercise to turn back the clock of aging with Tai Chi, Yoga, Aikido. 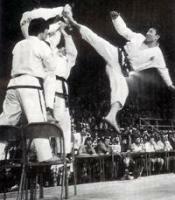 Martial Arts are fundamentally the study of peaceful conflict resolution. Martial arts lowers an already low chance of an attack and improves outcomes. While we only offer classes in Aikido & Tai Chi with Kung Fu, consider: There is no best martial art...only a best martial art for you. Which martial art best fits your disposition? 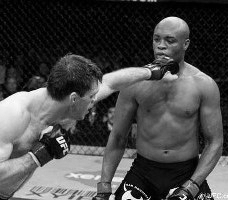 MMA - Widely popularized through TV, MMA is simply a vehicle to test any martial art in a restricted combat mode. The question is whether to study many styles loosely or one to two styles well. Aikido - The martial art of peace. Discover how compassion is the source of strength as you use the opponent's force against them. Tai Chi for health and self defense as well. Health benefits come through training as self defense. Kung Fu - The original striking martial art. Sophisticated and diverse with many styles and an emphasis on striking. 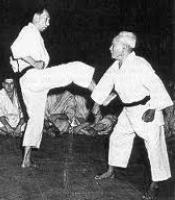 Karate - Kung Fu migrated through the Okinawan Islands to mainland Japan as Karate. Emphasis on striking and sparring. Taekwondo - the migration continued to Korea where Karate fused with indigenous Korean arts and is known for high kicks. Judo was developed from many ancient styles of Jujitsu and turned into a sport. 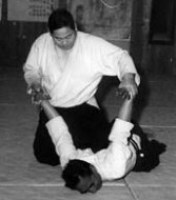 Emphasis is on throwing and submission grappling. 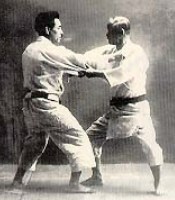 Jiu Jitsu - The original empty hand martial art of Japan was formed by the Samurai for self defense when unarmed. Over 1,000 years breeds many traditions.